In the realm of better-for-you snacks, formulation challenges arguably outweigh production difficulties, as Bob Clark, vice president of marketing for Herr Foods, contends. The Nottingham, Pa.-based manufacturer of Herr’s potato chips and other salty snacks puts herculean effort into developing new products that not only leverage consumers’ latest notions about health and wellness, but also taste great, he says. Nevertheless, for startups rolling out everything from quinoa cookies to sea-salted popped edamame chips and for established manufacturers cautiously debuting “clean label” products, the operational obstacles are many. 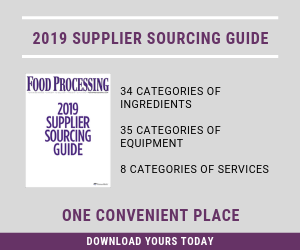 The shift toward more natural-sounding and nutrient-dense ingredients, the elimination of many preservatives and other feared substances and the pressure to meet new labeling requirements and sundry certification standards can lead to massive capital expenditures and process changes. It’s no wonder that mission-driven entrepreneurs and big companies alike are turning to contract manufacturers that focus on the dietetic and free-from snack markets. To ensure smoother entry into the evolving sphere of clean labels, many conventional snack food processors also rely on guidance from ingredient and equipment suppliers, notes Chad Rieschl, senior research food technologist for Wayzata, Minn.-based Cargill (www.cargill.com). “It’s a different space, so there is definitely a learning curve,” says Rieschl, who frequently advises manufacturers on how to work with Cargill’s pea protein isolates and other alternative ingredients in extruded snack products. Kay’s Processing uses twin-screw high-pressure extruders to produce better-for-you puffed snacks that contain plant-based proteins such as pea protein and chickpea flour. Given the current rage for plant-based proteins, much of the innovation in extruded and expanded snacks involves incorporating not just pea protein but also chickpea, lentil and other pulse flours into products that are more nutritious than typical cheese or corn puffs. But manufacturers need to be aware of the operational hurdles before venturing into this space, cautions food scientist and engineer Massoud Kazemzadeh, founder of Clara City, Minn.-based contract manufacturer Kay’s Processing (www.kaysprocess.com) and its branded counterpart, Kay’s Naturals. Kazemzadeh, who previously taught at Texas A&M University and finalized the engineering of a twin-screw high-pressure extruder for Bühler, custom-designs the extrusion equipment he uses in his plant. “It’s much easier to puff a carbohydrate like starch than to puff or expand a protein,” he notes, explaining that the volumetric mass density of protein macromolecules ranges from 1 million to 2 million Ds compared to about 100,000 to 300,000 Ds for carbohydrates. Kay’s Processing’s twin-screw extruders deliver pressures of up to 3,500 psi, while traditional extruders typically attain pressures of 800 psi to 900 psi, according to Kazemzadeh. Besides requiring higher pressures to expand, plant-based proteins bring additional handling challenges. “They are difficult to work with; you have to know what you’re doing,” Kazemzadeh says, noting that his company has five years of experience using pea protein. Meanwhile, his other enterprise, 20-year-old Kay’s Naturals, last December introduced the Pass The Peas brand of chickpea flour and pea protein puffed snacks in various flavors. Agreeing that extruding and expanding plant-based protein can be complicated for the uninitiated, Rieschl insists that established manufacturers can usually reconfigure their existing extrusion equipment to achieve desired results rather than investing millions of dollars in new equipment or contracting with a specialized copacker. Sharing examples of common modifications, he notes that water often needs to be added during the extrusion process with high-protein formulations, sometimes the die opening will need to be changed and sometimes the product will need additional cooling to offset increases in mechanical energy. Beyond dealing with new ingredients, snack food manufacturers must also grapple with an ever-growing list of demonized chemicals. In the potato chip category, the latest bogeyman is the byproduct acrylamide — a compound produced when cooking potatoes (and other asparagine-heavy vegetables) at high temperatures. Studies have suggested that acrylamide might be carcinogenic to humans in cumulatively high doses. Some snack manufacturers have adapted existing processes developed for other products to produce better-for-you items. For instance, Liberty, N.Y.-based Ideal Snacks uses a proprietary compression popping system to make low-fat, nutrient-dense chips from extruded pellets. As Gunther Brinkman, the company’s vice president for contract manufacturing, explains, at least 50 percent of the formulation must consist of an expanding starch such as corn, rice or cassava. Ideal Snacks’ proprietary compression popping system produces low-fat, nutrient-dense chips from pre-formulated pellets that pop like popcorn kernels. Having shorter ingredient decks and, especially, limiting the use of preservatives can compromise the shelf life of less-processed snacks while also increasing production costs. Using preformulated pellets (also known as half-products) is one way to boost the shelf life of expanded snacks. Puffing these pellets into so-called “third-generation” (or 3-G) snacks closer to the time and place of consumption — whether via hot air, frying or microwaving— helps ensure longer-lasting freshness. A number of snack food processors address shelf stability through packaging technology. Denver-based Oogie’s Snacks, a manufacturer of branded and private label better-for-you popcorn, uses nitrogen flushing and particularly strong seals on its packaging to maximize shelf life. Herr Foods for some time has been using metalized film for many of its snack products (including all of its potato chips), not just those that that tout simple and natural ingredients, adds Clark. The foil-like bags help retain nutrients as well as freshness and crispness. Because many consumers of clean label snacks expect them to be free of gluten and genetically modified ingredients — and because more and more people today actually do suffer from food allergies, intolerances and sensitivities — manufacturers increasingly are jumping through extra hoops to obtain certifications that exceed federal and state regulations. For example, when products are certified by the Gluten-Free Certification Organization (GFCO), thereby ensuring that they are safe for individuals with celiac disease or gluten intolerance, manufacturers must take specific steps to prevent contamination. These protocols include adhering to equipment-cleaning schedules, documenting that they are followed, and validating their effectiveness with gluten-specific or protein-specific swab tests performed at multiple locations after cleaning. “Even in facilities that are dedicated to gluten-free production, protocols for preventing contamination of the facility must be in place, including supplier vetting and control of what employees can bring into the plant,” says Laura Allred, regulatory and standards manager for the Gluten Intolerance Group (GIG), GFCO’s parent organization. Among other requirements, the GFCO Standard mandates that all staff be trained on gluten risks and that employee hygiene protocols be implemented. Known for its many flavors of potato chips and other indulgent snacks, Herr Foods is foraying into the clean label arena with its Good Natured Selects brand. Through more efficient operations, manufacturers can offset some of the added costs of free-from snack production. In addition, technology that captures energy released by one process to fuel another offers further potential for savings, Johnson says. For example, one solution developed by TNA recovers energy from a fryer. Clark, for one, remains enthusiastic about the market potential of clean label snacks such as Herr Foods’ Good Natured Selects brand. “We want to follow where the consumer wants to go, so we do see it as an opportunity,” he says.